Holmes and the stolen stones is not the first game to be influenced by the famous private detective. However, it is certainly one that will give online gamers hours of fun. Powered by Yggdrasil Gaming software, this is a progressive video slot machine game. It has 5 reels and up to 20 pay-lines. That can give players a lot of opportunities to win real money big time. Playing the game feels like you are investigating something – just like the real Sherlock Holmes. There are a couple of great features in this video slot machine. Sherlock Holmes theme. The most notable feature is, of course, the theme. Throughout the game, a Victorian soundtrack plays in the background. It helps give the player a feeling of suspense, intrigue, and mystery. The setting of the game is in a mysterious London alley with locked doors evident on both sides of the reel. The symbols on the reel include Sherlock Holmes, Dr. Watson, a magnifying glass, and a book that is securely bound. These are the high-value symbols. The low-value ones are the icons of playing cards: clubs, spades, hearts, and diamonds. Bonus feature. The game features a bonus round that is triggered when three or more blue keyholes land anywhere on the reel after a single spin. It takes you to one of the locked doors beside the reel. The door opens up to a warehouse with stacked boxes. You need to click on each box to open them. The boxes can contain one of three things: coins, diamonds or smoke bombs. If you click on a box with a smoke bomb, the bonus game ends. All the prizes you opened successfully will be transferred to the base game. Free spins. 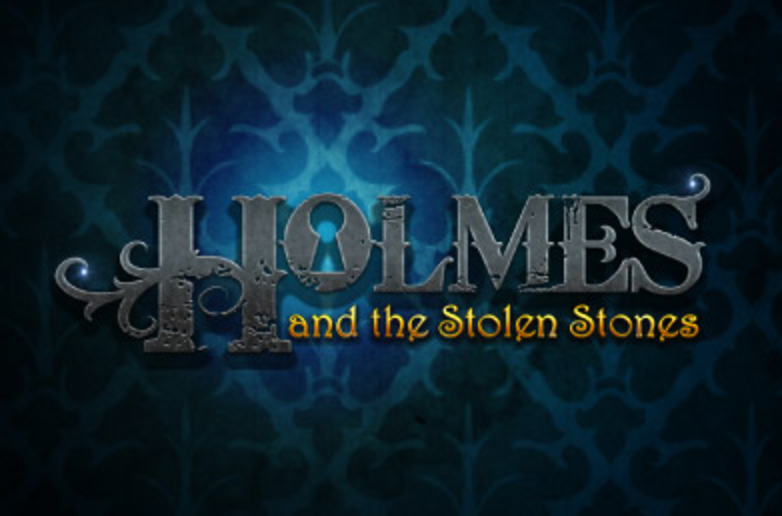 The game of Holmes and the Stolen Stones also give away 10 free spins. There are two ways to trigger this. The first is by getting three golden locks to land anywhere on the reel in one spin. The second is by collecting 5 diamonds that has the same colour. These diamonds are collected and stored above the reels. The diamonds that you collect in the bonus round will be added to the top of the reels as well. Jackpot. The jackpot can be won if you collect 5 diamonds of the same shade. That means you do not only win free spins, you also get the chance to win the progressive jackpot. Before playing Holmes and the Stolen Stones, you need to place your bets. You can bet between £0.20 – £40.00. The remaining money that you have to bet can be seen on the lower right side of the screen. To spin, click on the Spin button. There is also an option to click Autoplay that will make the reels turn automatically and without interruption. This will only go on for a number of times. With every spin comes the chance to win big. You need at least three of the symbols to be aligned with each other along one of the 20 pay-lines. That means a lot of chances to win big money. There are also times when a combination of pay-lines are triggered at one spin – but only the highest win will be paid. To know your winnings, you can compute the pay-line wins and get the sum. For a single pay-line win, you simply have to count the number of symbols from the left or right – depending on where the pay-line pays from. A pay table can be viewed by clicking on the (+) button on the left side of the reel and then the (i) button. You can change the game settings by clicking the (+) button (speed, volume, etc). You also have the option to view the last 10 game rounds through the gaming website that you are playing on. 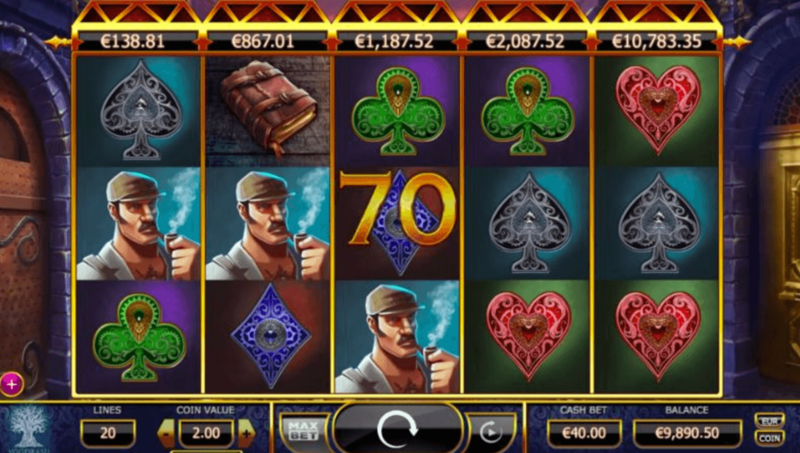 Holmes and the Stolen Stones is a fun and progressive video slot game but the winnings will depend on how much you are betting on every spin. The higher the amount, the higher the winnings.